Happy First of August ~ wowza! The month of July has simply flown by for me! Has it done the same for you? 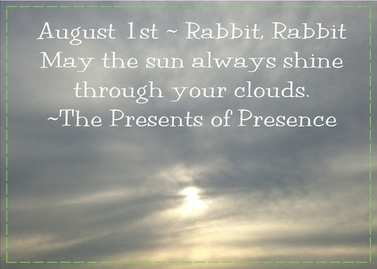 With one month of summer left here, I just thought I’d give a reminder to say, Rabbit-Rabbit today for luck the whole month through ~ and to remind you to look for the sunshine even when life is cloudy.